When Studying in Newzealand, you can not only rely on working though part time job options are available. There are restrictions on how long you work on your student visa. So it is better to search for other funding options such as Scholarships to study in Newzealand for free. However, you may not get the complete free education through these scholarships, but definitely, you will get financial support to complete your studies. Generally, the Scholarships in Newzealand covers the financial expenses of Students such as Tuition Fee, Travel Expenses, Books, and Lodging during their studies in Overseas. Usually, the Scholarships in Newzealand are offered by the Government Agencies, Individual Universities, and others by external funding organizations and charitable enterprises. Especially, the Newzealand Government and Newzealand Universities provide a large number of scholarships for international students wanting to Study in Newzealand. So you can apply for the Newzealand Scholarships to get financial assistance to complete your studies in Newzealand. But these Scholarships in Newzealand are awarded to the students who has strong academics, good performance on standardized exams, and extracurricular achievements. To help the students planning to pursue higher education in Newzealand, we have compiled the list of Scholarships in Newzealand offered by the Colleges & Universities as well as scholarships granted by Newzealand government and institutions. As we have already know that these Newzealand scholarships are awarded to the students who met certain requirements. So check the eligibility of each scholarship and apply for one scholarship option that meets your requirements. Scholarships to the international students offered by Newzealand Government. 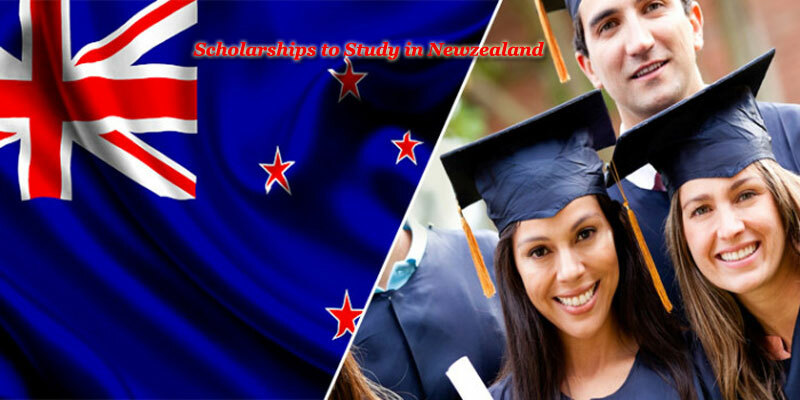 Scholarships to the international students offered by Newzealand Universities. The Newzealand Government Scholarships are the Scholarships awarded to the international students by the Government of Newzealand. These Scholarships are awarded to the international students from developing countries to study in New Zealand to gain knowledge and skills through post-graduate study in specific subject areas that will assist in the development of their home country. The Newzealand Government Scholarships cover the tuition fees, travel costs, living allowance, and insurance. The Universities in Newzealand also offers a large number of scholarship options to the international students. The Students are eligible to get the scholarships offered by the university only if they have applied to the particular university. To Award these Scholarships the universities invite applications from eligible candidates. This Usually covers tuition fees and living allowance for up to three years with a possibility of one semester’s extension for Ph.D. students. UC International First Year Scholarships. ADB Scholarships at the University of Auckland. University of Otago International Research Masters Scholarships. University of Waikato International scholarships.